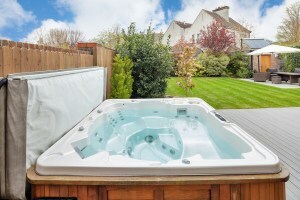 Have you ever considered buying a hot tub? A bit of unadulterated luxury that would, for a brief outdoor soak with a flute of bubbly in hand, place you momentarily in the realms of the pampered private jet set. The current owners of 2 Broomfield Woods in Malahide have the answer. They say they use their decktop hot tub all year round – and that their three children get as much – if not more – use out of it as they do. It must trump asking their friends over after school on a Friday for movies and pizza, and parents can keep a watchful eye from the kitchen. And when they go to bed, you too can enjoy a luxurious soak. The deck top outdoor hot tub is just one of many bells and whistles attached to a house that defines the term ‘turnkey’. The good news is that if it really does get icy cold outside, you can go indoors and upstairs and soak in the bubbles in the home’s generous Jacuzzi bath, contained in the family bathroom. Number 2 is one of just four in a small development completed in the mid-noughties. It was the original show house – hence the hot tub, one of the added extras included when the current owners purchased it in May 2008, shortly before the sky fell in and the recession kicked off in earnest. 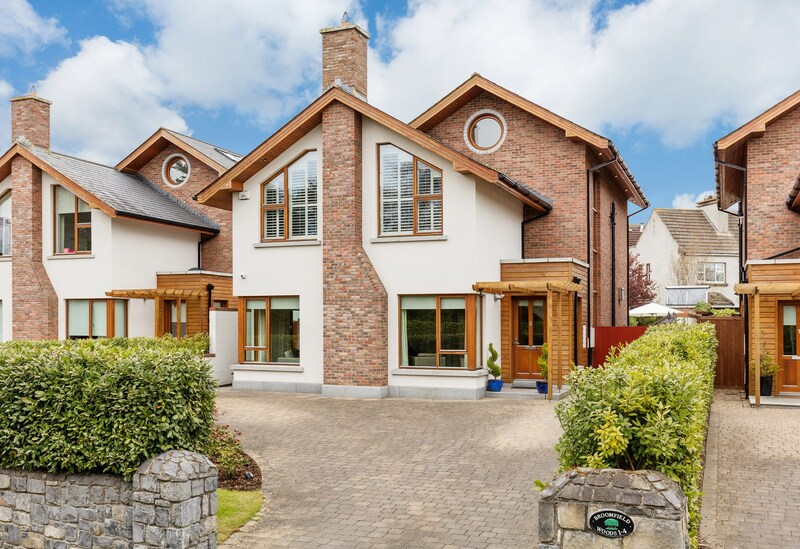 The purchase price back then was €1.575m, and the vendors say that they were lucky enough to get a tracker mortgage, which they are now relinquishing in order to move to a bigger home in the area. The four-bedroom house has 2,852 sq ft of living space and the design is contemporary and imaginative, different to the run of the mill ‘executive family home’ that you might see in upmarket developments, with a distinctive internal atrium staircase that ensures the interiors are filled with natural light. The current owners have undertaken some significant upgrades over the past decade and kept the interiors in tip-top condition. 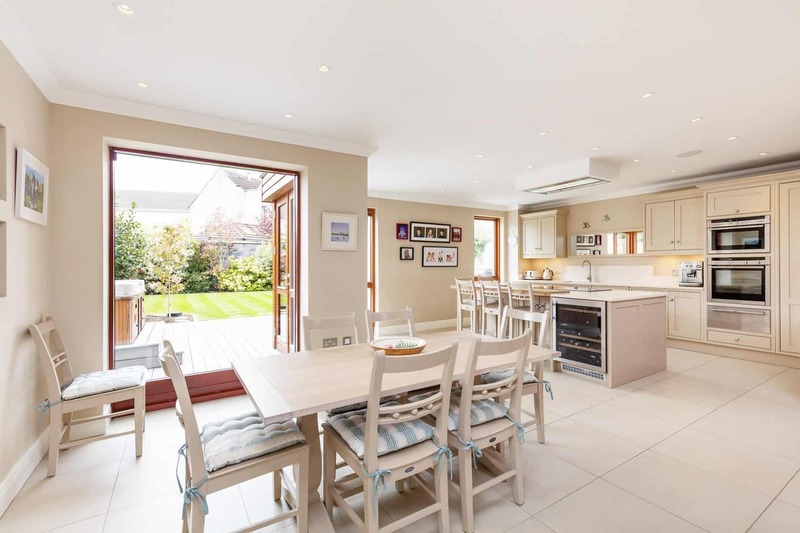 The large entrance hall leads to a formal living room to the front, with the open-plan kitchen/dining/family space to the back. The owners hired interior designer Janice Moore to advise them on a re-jigging of the layout on the ground floor and say the result has been a success that has enabled them to get better use out of the space as a family. They replaced the original kitchen with a smart bespoke number from upmarket suppliers, O’Connors of Drumleck. The new arrangement has a large island and integrated appliances that include a NEFF conventional oven, microwave/oven, warming plate drawer, NEFF induction hob and American-style fridge/freezer, Miele dishwasher and all-important Liebherr wine fridge. The same company was commissioned to design and custom fit a utility room which is larger than the norm, kitted out with plenty of useful storage for sports equipment, school bags and the like. Upstairs, there are four bedrooms – the main on the first landing, two more to the front, and another on the second landing, which doubles as an open-plan study area. The main bedroom has a walk-in wardrobe and en suite bathroom, and the fourth bedroom is also en suite. The house has underfloor heating on the ground floor and a BER of B3 thanks to a heat recovery system, solar panels and double-glazed windows. Outside, the front and back gardens are landscaped, with a deck, patio and brick-built barbecue and there’s off-street parking to the front. 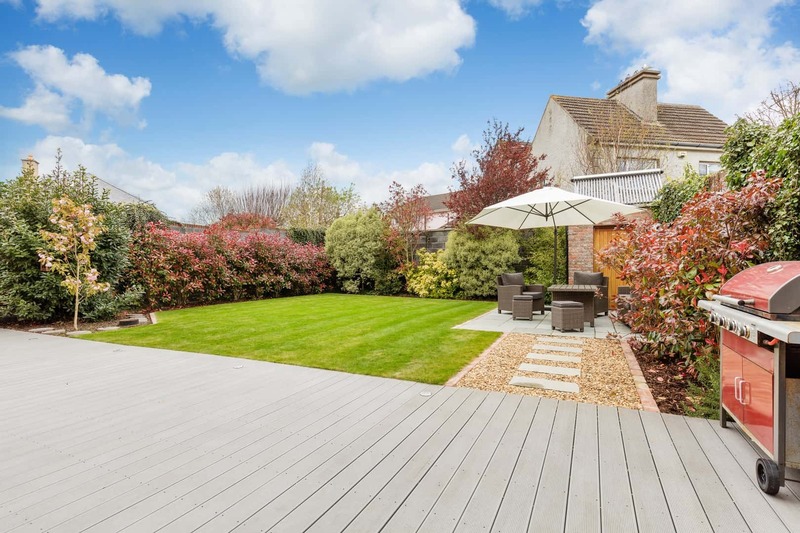 The location is within walking distance of Malahide village, with its shops and restaurants. The vendors say that they have made the most of having a nanny who babysits one night a week to try out every early bird deal on offer in the vicinity. As well as well-known spots such as Bon Appetit and Old Street, both destinations in their own right, Kajjal and Nautilus are particular favourites. Malahide residents are spoiled for choice when it comes to sports facilities too. The children who currently live at 2 Broomfield Woods have tried everything the village has to offer, says their father, who sounds as if he may have done a fair amount of Saturday morning pitch and courtside encouragement. 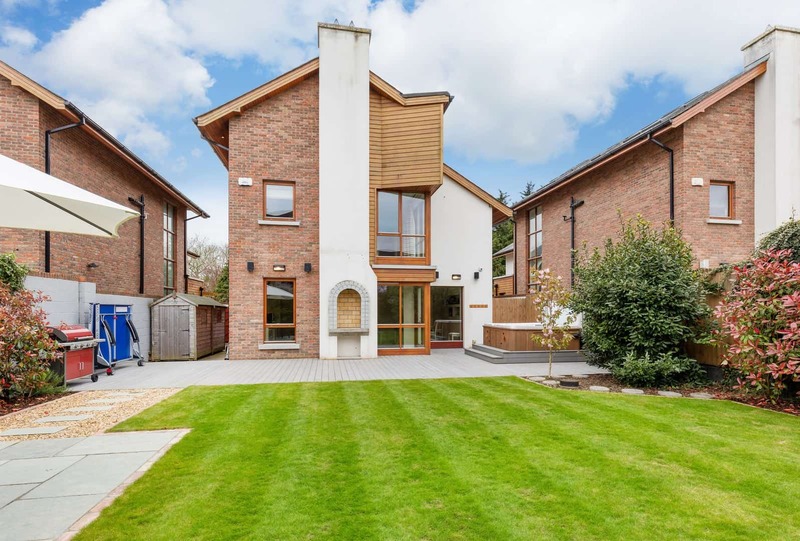 Schools are convenient too, with both primary and secondary schools within walking distance; Pobascoil Iosa secondary school, the local community school, is almost next door. Malahide Demesne, historic seat of the Talbot family, and the location of Malahide Castle, parts of which date back to the 12th century is also close by. The recreational facilities here in 260 acres of parkland include everything from playing pitches to children’s playgrounds to a fairy trail and butterfly house.